Tessa Stewart is Momo’s Fitler Square Manager. Not only does she manage the store daily, she also creates window displays and plans special events. Tessa is known for her bubbly and welcoming presence for both customers and coworkers. There’s not a toy she can’t help you find! We caught up with her recently to ask her a few questions. Are you originally from Philly? 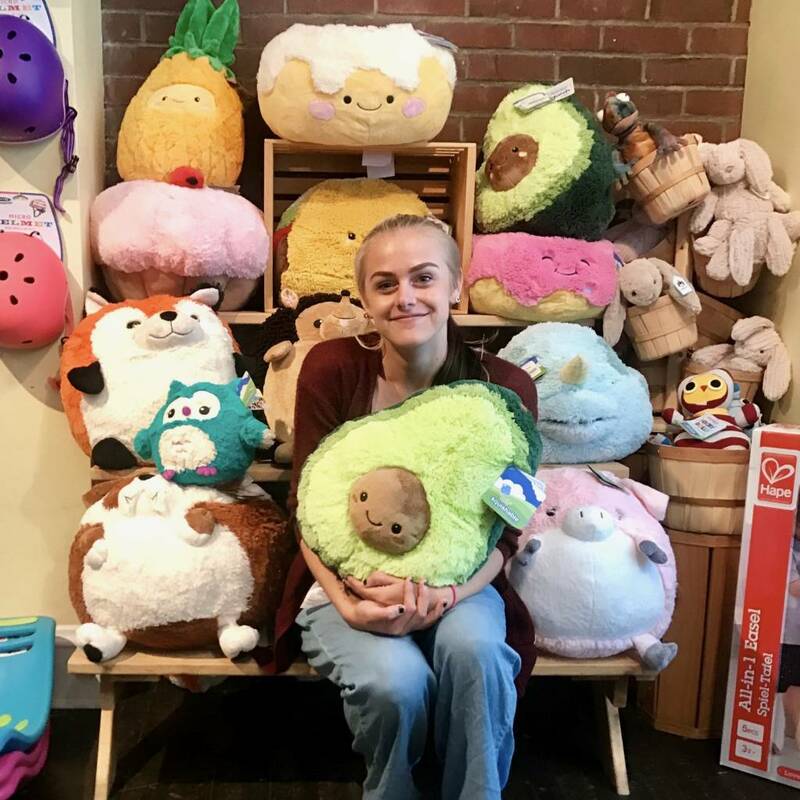 - I've lived in Philly for almost six years now, starting my freshman year of college, but I grew up in York, PA.
How long have you been at Momo’s Treehouse? - I'm lucky enough to have been with Momo's Treehouse since September 2018, so almost a full year! What’s your favorite Momo’s product and why? - I absolutely love Illustory! (a create your own book product, that sends you a hardbound copy when you are done!) It’s a great product to get kids excited about reading and writing and drawing. What’s your favorite part about working at Momo’s? -I love being able to connect with customers to help them find the perfect toy for their little one. I also love how connected Momo's is with the community, I know it’s more than a retail space but truly a great addition to the neighborhoods they are in. What do you like best about Philly? -I love the diversity of the city, the food, and the fact that somehow, even for such a big city you get such a small-town feel. What’s your favorite thing to do outside of selling toys? -I really enjoy photography, cooking and spending time with my family and friends. As the event planner, do you have any special ideas for events people could have? Are there any events in the works? -We have weekly story time at both stores, Fitler Square on Tuesdays and Old City on Wednesdays. We will also be starting a mini series with Alycia Larson, The Geography Lady! And we are open to hosting birthday parties now, so keep an eye out for that. There is also Neighborhood Toy Store Day coming up and we will definitely be celebrating. Back to school is coming up, and you’re going back to school too! Could you tell us about your experience going back to school? Do you have any advice on getting organized for back to school? - Yeah!!! I'm going back to school to get my Masters of Fine Arts at Penn. This year seems a little different for me since I took a year between undergrad and grad, but I'm so excited to be back in class and working on my photography again and I'm excited to see how that translates to the store. I have found having EVERYTHING written down helps immensely, also my planner is my new best friend!